Two years after the surgical strikes carried out by the Army across the Line of Control, Lt Gen (retd) D S Hooda Friday said it was natural to have an initial euphoria over the success but the constant hype around the operation was unwarranted. Gen Hooda was the Northern Army commander when the surgical strikes were carried out on September 29, 2016 across the LoC as a response to a terrorist attack in Uri earlier that month. The Army had said its special forces inflicted "significant casualties" on terrorists waiting there to cross into Indian territory. Gen Hooda was speaking during a panel discussion on the topic, 'Role of Cross-Border Operations and Surgical Strikes,' on the first day of Military Literature Festival 2018 in Chandigarh. The discussion was attended by Punjab Governor V P Singh Badnore amongst a battery of former Generals and Army Commanders. Many war veterans cautioned against "politicisation" of the military operations, as per a Punjab government release. 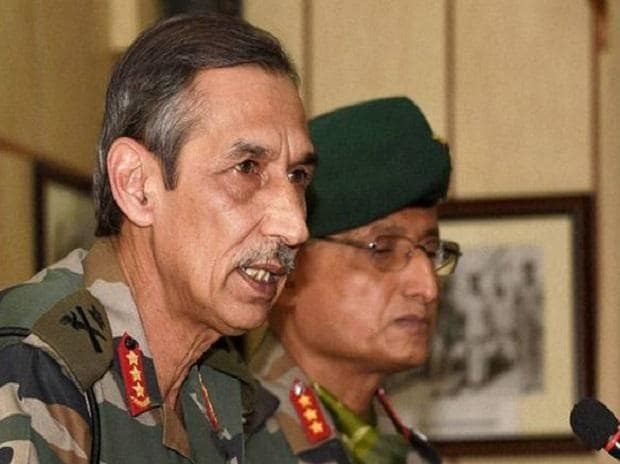 Lt Gen Hooda said it was natural to have initial euphoria about the success but the constant maintenance of hype around the military operations was unwarranted, the release said. Responding to a question from the audience, General Hooda said in hindsight, it would have been better had we done it (surgical strikes) secretly. The aim of any such offensive had to be not only tactical but strategic too, which substantially hampers enemy morale,he said. Citing the example of the 1981 Israeli air strikes on Iraqi nuclear sites, which had caused considerable damage, LtGeneral (retd) N S Brar underscored the need to ensure long-term impact on the enemy before undertaking any such operation in the future. Cautioning the political masters against being adventurists, General Brar asked if the political masters would have taken responsibility had there been any causalities in the strikes, the release said quoting him. Earlier, a two-minute silence was observed in the memory of the brave soldiers who laid down their lives in the service of the nation. Punjab Governor and Chandigarh administrator V P Singh Badnore inaugurated the MLF. Notably, MLF, which is into its second edition this year,is organised to raise awareness among people about thelegacy off the armed forces, and rekindle among youth the motivating spirit to join the Indian Army.